Months back Brandon Vera spends his time in the country on vacation and to also promote the fight between Ben Askren and Luis Santos. Now the Truth will return for the fight of his own. 26 August 2015 – Manila: ONE Championship™ (ONE) will return to Manila, Philippines for a grudge match between top-ranked heavyweight contenders Brandon “The Truth” Vera and Chi Lewis “Chopper” Parry at Mall of Asia (MOA) Arena on 11 December 2015, with the winner set to be crowned the inaugural ONE Championship™ Heavyweight World Champion. ONE: SPIRIT OF CHAMPIONS will play host to the titanic showdown, as world-renowned Muay Thai stylist and 8-time Grappler's Quest Champion Vera looks to claim the gold against unbeaten British kickboxing convert Parry, who challenged the Filipino-American Vera after both fighters recorded recent first round knock out wins. 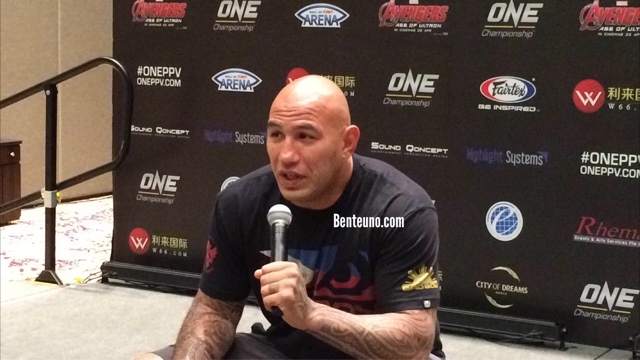 The owner of 8 KO victories, Brandon Vera is one of the most recognizable figures in the game, as well as one of the most feared Muay Thai practitioners in the world. Renowned for possessing outstanding striking technique, Vera devastated Ukrainian heavyweight Igor Subora with a straight left and a flurry of kicks in his ONE Championship™ debut to the delight of the fans in Manila. Now, he will look to utilize his outstanding ability and vast experience fighting some of the very best fighters in the world to his advantage as he accepts the challenge of prodigious prospect Chi Lewis Parry. At 6'9, colossal British stand out Chi Lewis Parry has one of the most imposing frames in Mixed Martial Arts (MMA) today, and a record to match. With 5 first round finishes to his credit, Parry remains undefeated in MMA competition, making a huge statement against Cameroon's Alain Ngalani last time out. Stopping the fight with a succession of precision elbows, Parry immediately turned his attentions to Brandon “The Truth” Vera in his quest to be crowned the number one heavyweight in ONE Championship™. At ONE: SPIRIT OF CHAMPIONS, Parry will get his wish as Vera steps into the cage to meet him head on! For more updates on ONE Fighting Championship, please visit www.onefc.com and follow Twitter and Instagram @ONEFCMMA and Facebook at www.facebook.com/ONEFCMMA.